Corset Lace Booties Just $25.99! Down From $75! 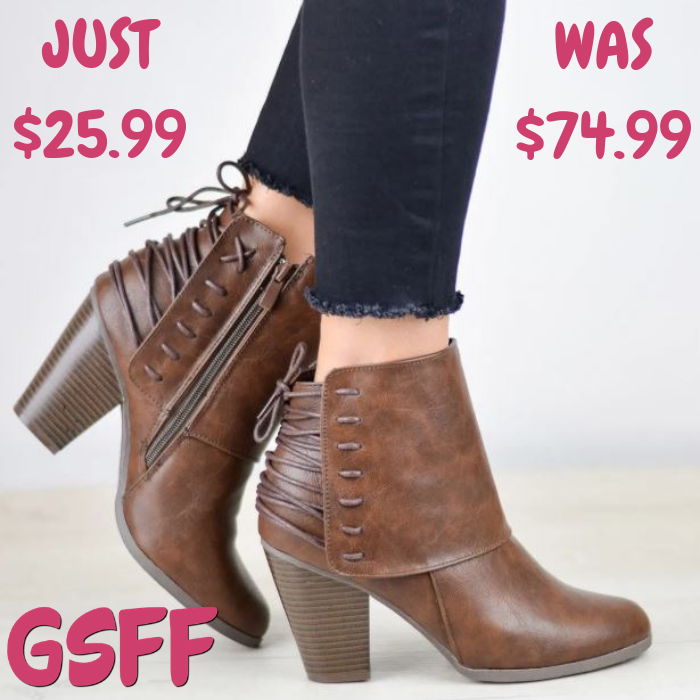 You are here: Home / Great Deals / Corset Lace Booties Just $25.99! Down From $75! TODAY ONLY! Hurry over to Jane where you can score this Corset Lace Heeled Booties for just $25.99 down from $74.99! Shipping is $6.99 for the first item and $2.99 for each additional item. The best-selling Bootie is back! You’re gonna love the lace-up detail on this booties! Good quality with elegant style! It makes a great gift too!